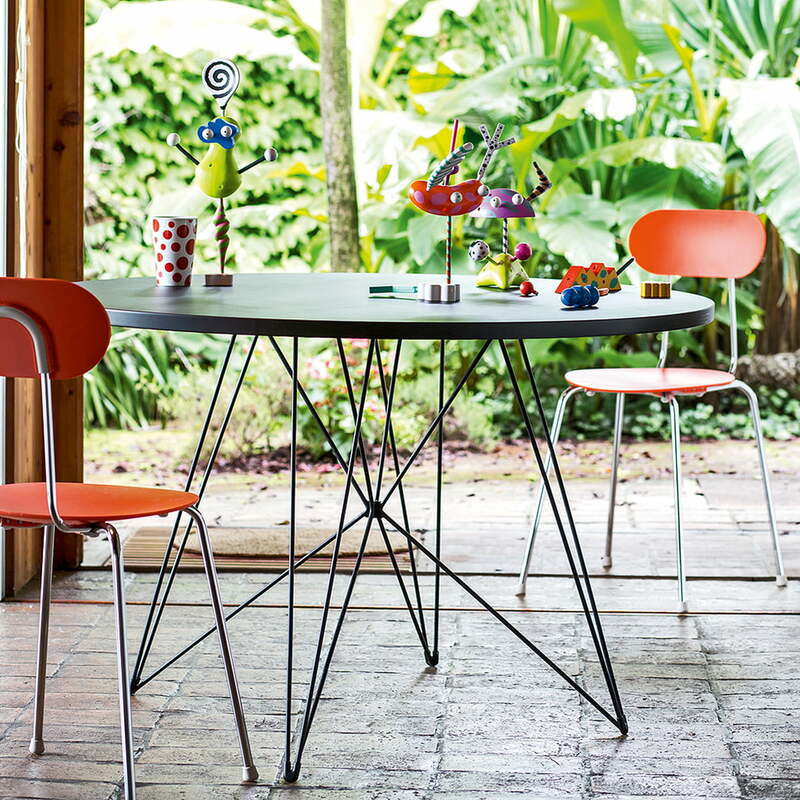 The dining table Tavolo by Magis has a delicate steel wire frame and a round table top made of resistant MDF. The Magis design from 1990 offers enough space for the whole family with its round top and diameter of 1.2 meters. 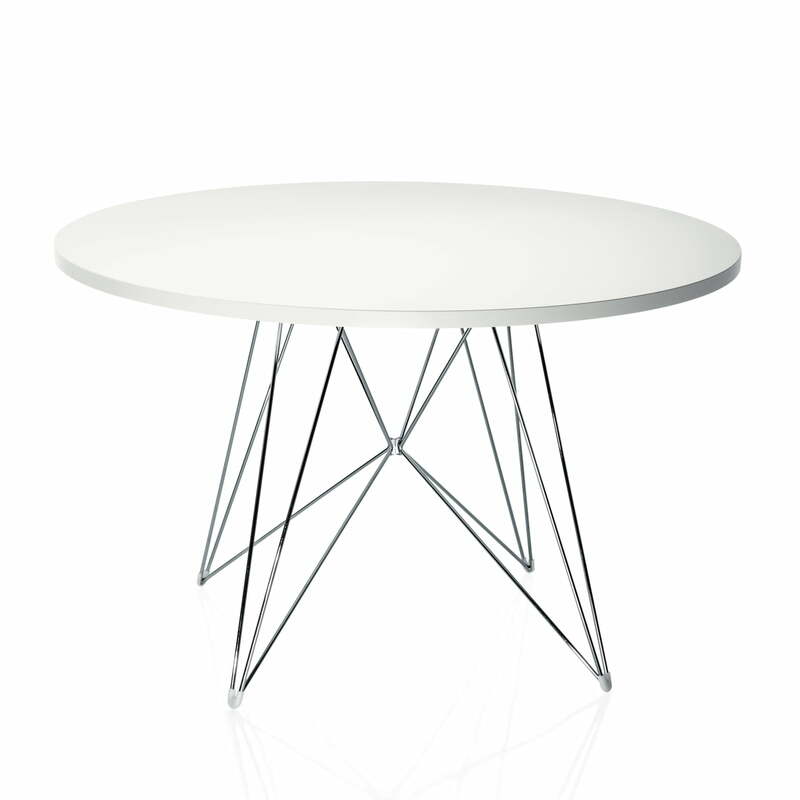 table) effortlessly fits into a variety of furnishing styles. The exceptional table base is the reason for the individuality of Tavolo. The Tavolo XZ3 dining table by Magis is also available in a rectangular version with a black or a white table top.